I first met Director Chase Dudley on a SECRETS AND SINS film set in Louisville, KY where I was playing one of the party guests. Although Chase was not directing that set (SECRETS AND SINS), I became interested in a 2017 project he was doing called PAYDAY and noticed that he was also in the process of releasing MARVELOUS MANDY. Once the MANDY trailer came out, I knew I had to watch it. MARVELOUS MANDY is a story about a single father – Harvey Fowler (Jonathan Stottmann) and his quest to find love with a deranged psychopath claiming to be Mandy Simpkins (Paula Marcenaro Solinger), author of the Marvelous Mandy children’s book series. Harvey has self-esteem issues from being a single dad and a failing stand-up comic, and is desperately seeking a mommy for his daughter Clementine (Kenna Hardin). Clementine is having problems in school but finds solace in the Marvelous Mandy stories. She asks Daddy to find a Marvelous Mandy book for her. Hoping to cheer her up, he looks for the books everywhere but is having trouble finding them because they are out of print. This eventually leads him to a bookstore where he surprisingly discovers the series author works there. 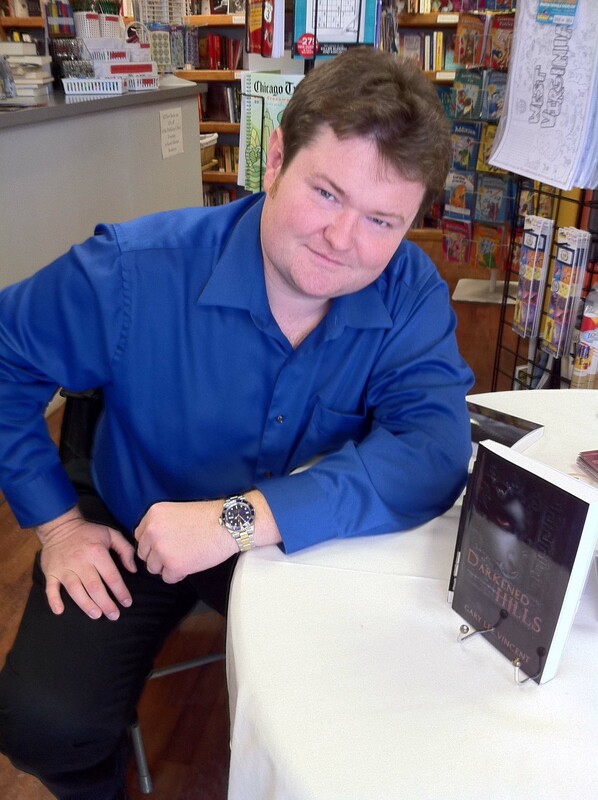 Excited that a customer is interested in the Mandy books, a bizarre chemistry begins to form between Mandy and Harvey. Unfortunately, since Harvey is so desperate, he initially overlooks that Mandy might just be too good to be true. As Mandy’s life begins to come apart, Harvey begins to realize that he might be in over his head…and that he could be in a situation that is impossible to escape. MARVELOUS MANDY is a low-budget horror film that had solid directing and great writing behind it, and Paula Marcenaro Solinger’s portrayal of Mandy is spot on and eerily disturbing. This is an intelligent horror flick. Keep in mind that the lower budget means that some of the camera work and lighting might not be ‘Hollywood standards’, but it is still a movie you will want to watch. MARVELOUS MANDY keeps you glued to the end to see just who will make it. 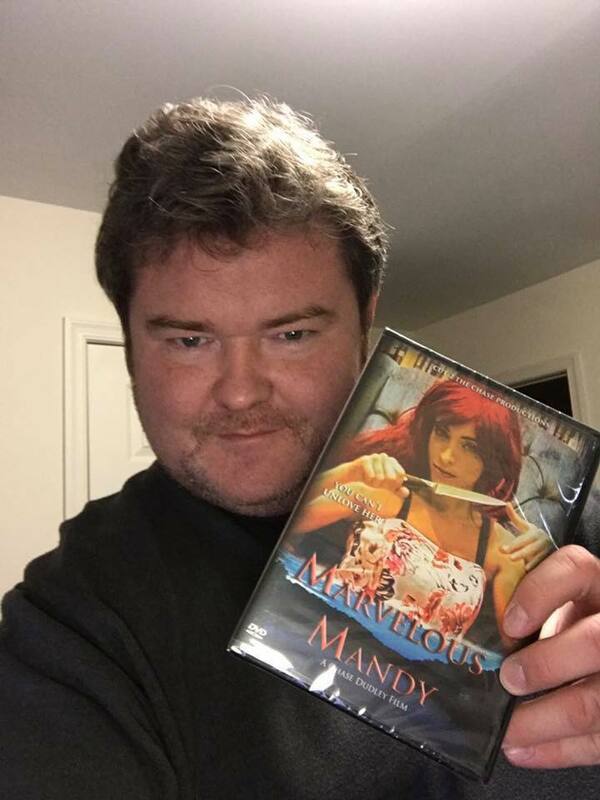 Pick up a copy of MARVELOUS MANDY from Legless Corpse Films. You will be supporting indie horror while rewarding yourself with a very interesting and entertaining movie to watch.